Combine with remaining ingredients. Cover and refrigerate. 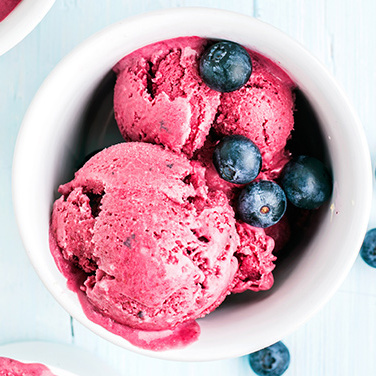 Frozen Strawberry Yogurt Variation: Replace blueberries with 1 1/4 cups (375 ml) frozen strawberries (processed with juice). To Use this Recipe with 4 Qt. Ice Cream Maker: Triple all ingredient measurements. Pour into canister. Follow instructions for 4 Quart Ice Cream Maker.